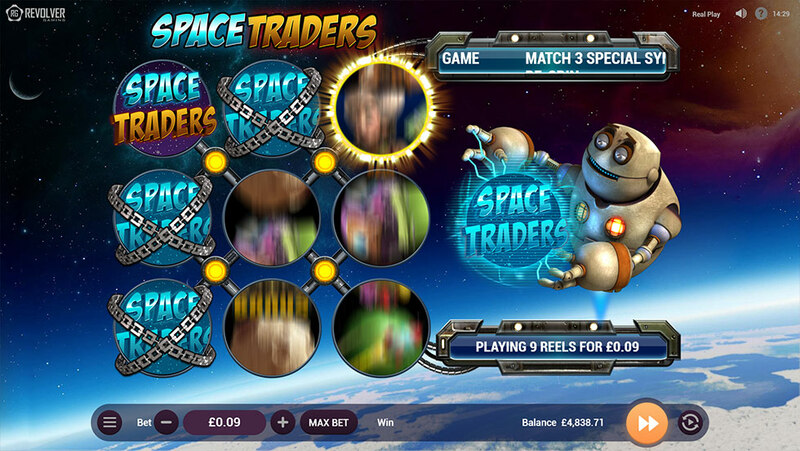 SPACE TRADERS™ | Revolver Gaming - 3D Slots & Social Casino game creators! 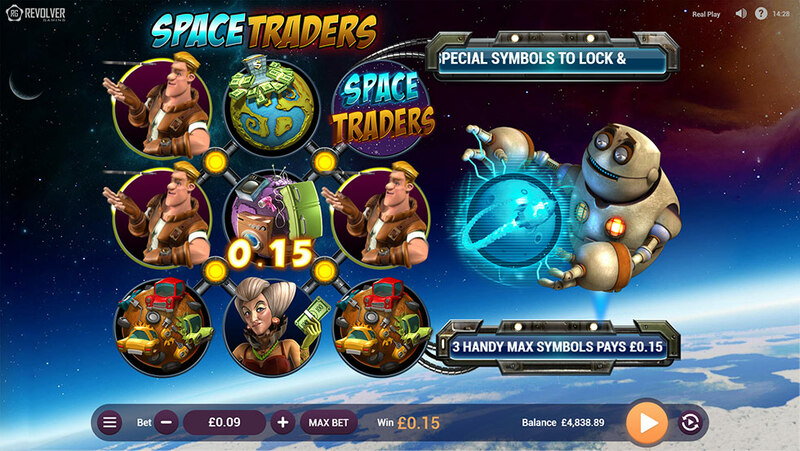 SPACE TRADERS™ is a unique and entertaining 3D slot game with a quirky cosmic theme. Accompanied by her loyal side kick Handy Max and their helpful robot Sam, Queen Bea trades in space junk and is always on the lookout for rare interplanetary riches for her clients. The LUCKY PLAY is randomly selected out of the 10 eligible symbols for each ‘spin’. Should the player’s spin result in hitting 3 or more Lucky Symbols, they will freeze and lock while the remaining symbols re-spin until no more Lucky Symbols appear. The Lucky Symbol pays for the total number of matching symbols collected, and that pay is doubled for Massive Wins! 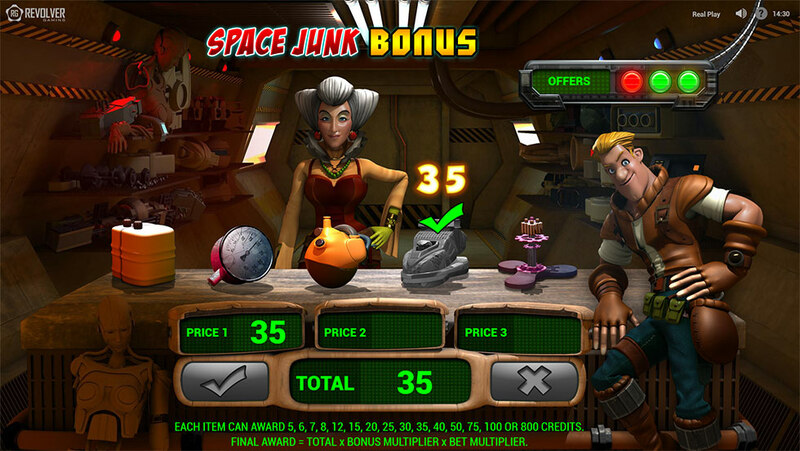 The game also features a 2nd screen ‘SPACE JUNK BONUS’, where Queen Bea and Handy Max are eager to present a range of up to 3 sets of items to choose from, each with varying values to either accept or reject for BIG WINS!